Upcoming star, singer, song writer extra ordinaire, Kay Smooth is taking the Ghana music industry by storm with his many hit tunes over the years which includes Naa Adgele, released in 2012 . Recently, after many years of ground works and preparation, the Ghana King of Afro Pop, Kay Smooth has resurfaced and dropped so many quality top-notch singles which have earned him massive air play both home and abroad. The music master, Kay Smooth as I choose to call him has given purpose to our music ears as anyone that hears his music will have no choice than to fall in love with his songs. Some of Kay Smooth’s hit songs which fans have fallen in love with it all over the globe include tunes like ‘Odor y3 d3′, meaning love is sweet which features Shatta Wale – the dancehall king, ‘Sweet Honey’ which also features Shatta Wale, ‘Baby you fine‘ featuring Dr. Cryme and ‘Thy Word’, a gospel track from this music master that is saving souls around the world and is being played in churches and events, all released last year 2018. It seems that this time around the music giant is here to stay for good as he has received so many endorsements from so many artists in Ghana including Dr. Cryme, K K Fosu, Shatta Wale etc who he has worked with on various music tracks which are doing quite well on the market. The silky voice male solo artiste is sweeping ladies across the globe off their feet with his untouchable and impecable unique style of music. He blends R&B, Afro Pop, Hip life, Highlife in a way that is totally out of this world and the fans are just loving him everywhere and in every place. DJs around the globe seem not to have enough of him as their radio sessions will not end satisfactorily without dropping a tune or the other from this mega star. 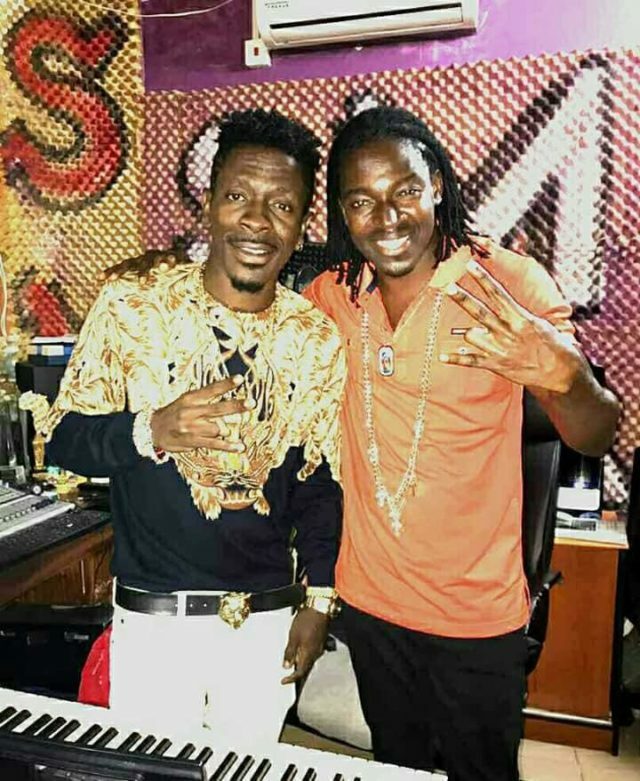 Among the tall list of admirers of Kay Smooth’s music is the self-acclaimed dancehall King himself, Shatta Wale who has also thrown his unwavering weight behind the upcoming superstar. Kay Smooth has a very rich history when it comes to music and he started his career with the likes of Terry Bounchaka of blessed memory in 1996, who he was in a group with called Affirmative Action. Not only that, he fathered the dancehall king himself, Shatta Wale who happens to be his school son in Winneba Secondary School. Currently Kay Smooth is on a record label called Smooth Family Entertainment which he also doubles as the CEO. The record label is working on releasing his debut album called the Rising Star Album. From the singles we have heard so far from this music super heroe, you can expect nothing but the best. The tracks I have also personally listened to on this upcoming album, I can only describe as a paradise of music or heaven on earth. He has urged all his fans to support him in prayers as he will never let them down. He has said the first cut is always the deepest so he has taken his time to put this debut album together which he believes strongly will leave an indellible mark in the world of music so his fans should watch out. God willing very soon his album will be out on itunes, sound cloud, sportify, shelves and all music channels all over the world. He has asked that for now we enjoy his singles and watch his videos on youtube and TV because he has come to stay and to carry Ghana music very far. He has also played so many shows and available for shows both home and abroad when needed. You can check Kay Smooth page on facebook, twitter, Instagram, twitter and on all social media handles. You can also contact Nsemwoha team on anything regarding Kay Smooth be it shows, events, endorsement deals etc on 0244084327.